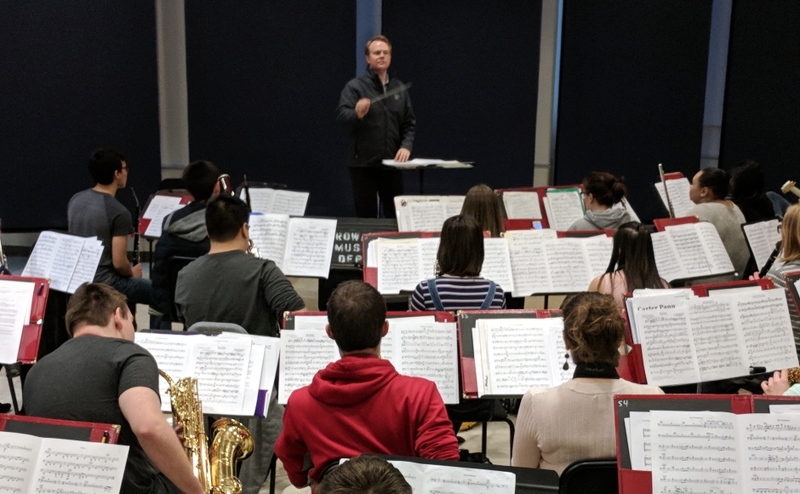 Rowan University Band Director Joseph Higgins leads the wind ensemble in rehearsal. Credit: Matt Skoufalos. 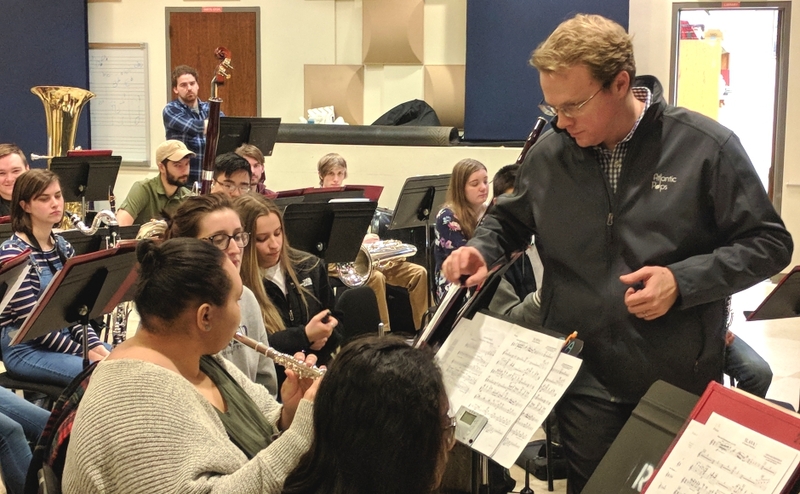 University band director Joseph Higgins said the works are intended to connect audiences, students, and faculty on topics that are relevant and that can be difficult to put into words. It’s Presidents Day, and the Rowan University wind ensemble is picking its way through Leonard Bernstein’s Slava! A Political Overture in a practice room at the Glassboro campus. Band Director Joseph Higgins leans in once or twice, adjusting a piccolo here, a trumpet there, settling on which parts of the score should be voiced by which instruments in the room. Written for the National Symphony Orchestra in 1977, the original composition included political speeches and crowd noises. Forty-one years later, Higgins’ students are splicing in updated cuts from people like Hillary Clinton and Donald Trump. “It started with us wanting to do any kind of broad theme that an entire college of performing arts could latch onto,” Higgins said. “I’ve been tired lately of going to band concerts where it’s just a bunch of pieces put together. It seemed like a waste of an opportunity to really explore some timely theme or social attitude with our students. Those themes sprawl from immigration to labor equality to gender and civil rights. Many of the pieces of music will be unfamiliar to general audiences, but they fit a relevant contemporary context as well as a historic one. Adolphus Hailstork’s American Guernica is a response to the 1963 16th Street Baptist Church bombing in Birmingham, Alabama, which killed four children attending Sunday school. Anthony Plog’s Magdalene is inspired by a Nashville, Tennessee-based recovery center for survivors of prostitution, drug abuse, and human trafficking. 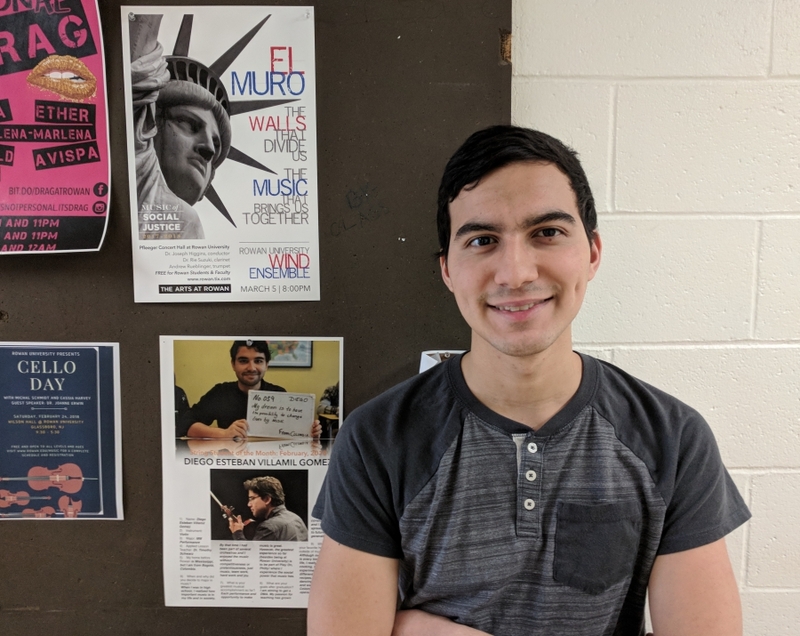 Venezuelan-born Ricardo Lorenz will be on hand March 5 to hear the Rowan wind ensemble perform his 2008 work El Muro, which describes the political walls that divide people and the music that brings them together. Rowan University Band Director Joseph Higgins. Credit: Matt Skoufalos. “Every concert, we end up with the audience talking about the issues, if not the music,” Higgins said. “But we’re not discussing any policies. We’re using our medium; what we can handle. 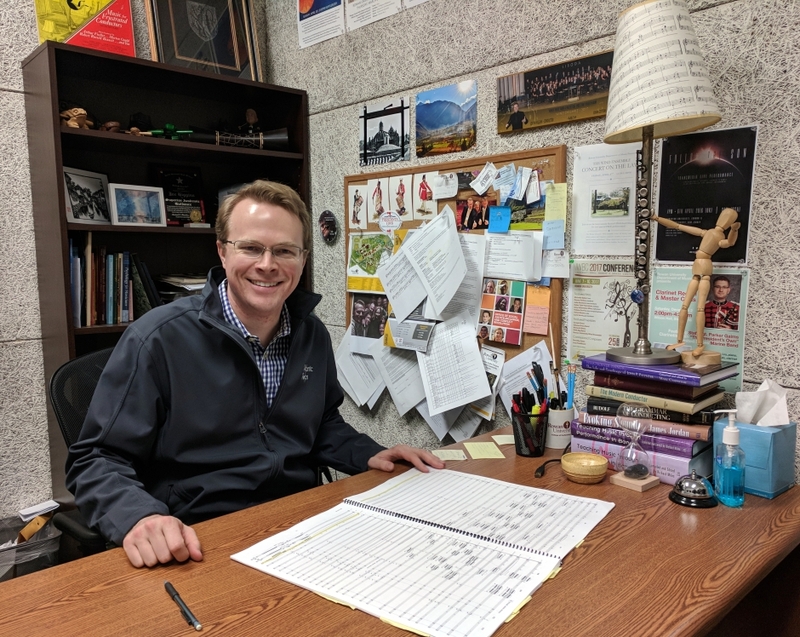 Higgins said curating the selections for his students, many of whom are studying to be music educators, was an exercise in the diversity of composers whose works are typically performed. In professional orchestral settings, they may only encounter works by white composers intended for white patrons; in the university, Higgins sees an opportunity to broaden their musical vocabulary. Rowan music education major Shawn Garrone. Credit: Matt Skoufalos. Shawn Garrone of Egg Harbor Township is one of them. An oboist and English horn player, Garrone said the selections are topical, and that the student performers are looking forward to bringing their own experiences to them. “All music is social commentary,” he said. Whether the works are understood as commentaries on specific events, Garrone said audiences will still leave with some emotional impression from the exchange “because everyone gets to listen and there’s no condition placed on it. “You can’t separate your emotions from your performance, so even when you’re performing a piece that was made a long time ago, who you are as an individual is going to affect how you would play that piece,” he said. Rowan percussion student Garrett Davis of Pine Hill. Credit: Matt Skoufalos. 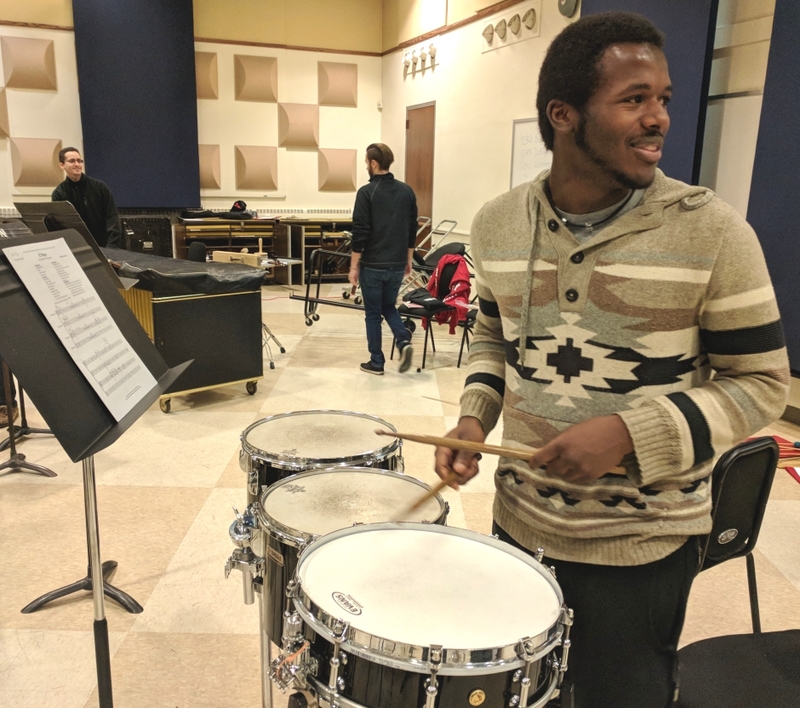 Percussionist Garrett Davis of Pine Hill said the mixed-media performances, which will include narration, extensive program notes, and visual accompaniments, will “really add to the next level of the meaning. “I think it’s really cool,” Davis said. “Each song has its own meaning in these concerts. 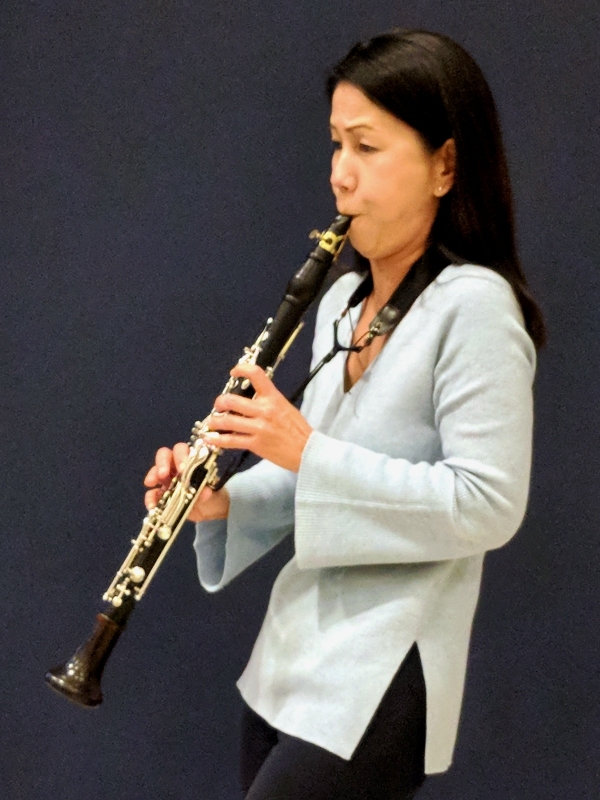 Rowan clarinet professor Rie Suzuki, who is accompanying the ensemble on a new, Jonathan Leshnoff-commissioned concerto for clarinet and winds, said the program is “not just a collection of pieces. Higgins is sensitive to the notion that discussing complex issues at the root of concepts like social justice can be fraught with difficulty. But the emotional directness of music outstrips what can be achieved in even some of the most productive classroom dialogues. Clarinetist and Rowan professor Rie Suzuki practices with the wind ensemble. Credit: Matt Skoufalos. “What’s so nice about the music is you don’t have the words,” Higgins said. “You fill the notes or the words you’re singing with your own expression. “So they’re really participating in this immigrant story; in painting the pain of the Birmingham bombing. “They may never know what that kind of pain feels like, and I hope they don’t,” he said. “But there’s some empathy that you get from sharing a piece of music like that with an audience and the energy that you get.